Thank you for reading in 2017! 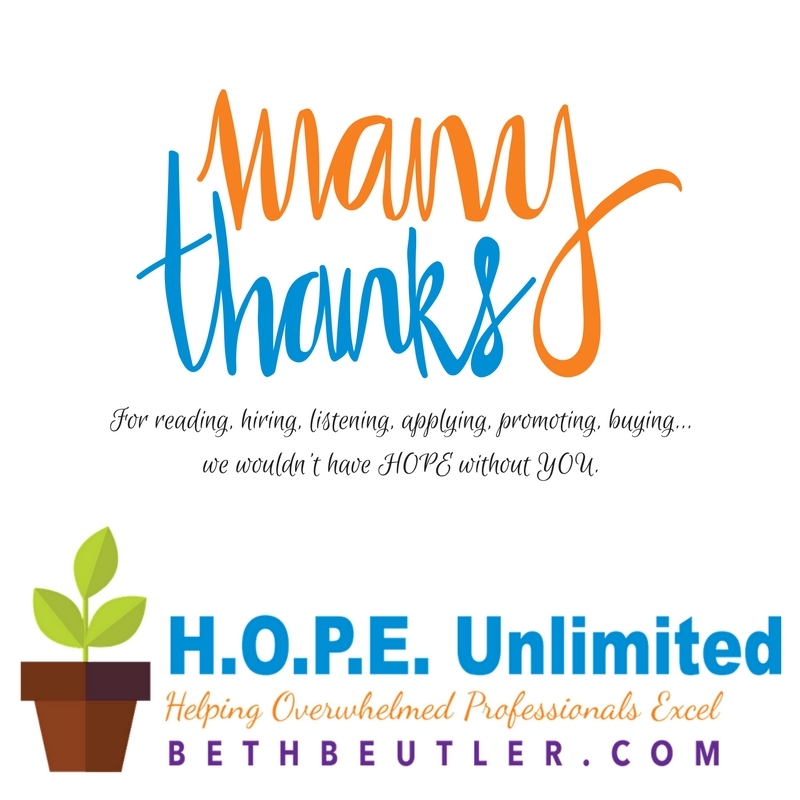 As I wrap up another year of blogging, I want to express my gratitude for being part of the HOPE family. Some of you have been with me for a long time–even many years, while others have joined in recently. I value each of you and appreciate you taking time to read what I offer, and as applicable, doing business with me. I’m excited to announce that I am working on an updated look to the website that I hope to reveal in early January. With that in mind, and knowing that many of you are focusing on personal time, fun, fellowship and renewal over the holidays, I’ve decided that this will be the final post of 2017. My best wishes for Happy Holidays, Merry Christmas, and a fruitful, meaningful New Year!